Crude oil is tough to clean up and has lasting environmental impacts. Environmental disaster in the Great Lakes region has spurred scientific research and citizen action to prevent oil companies from messing up again. 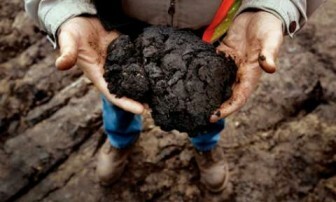 In 2010, the region dealt with the biggest inland oil spill in U.S. history, according to a report by InsideClimateNews. Diluted bitumen, a mixture of crude oil and chemicals, filled Talmadge Creek and slowly made its way towards the Kalamazoo River near Marshall, Michigan. The Michigan spill and the proposed trans-continental Keystone XL Pipeline containing crude oil, spurred Canadian environmental studies professors Valerie Langlois at the Royal Military College of Canada and Peter Hodson of Queen’s University to collaborate. In the event of an accident, the harsh chemicals that flow through U.S. and Canadian crude oil pipelines can wreak havoc on the environment, according to their research that was funded by the National Contaminants Advisory Group of Fisheries and Ocean Canada. “I decided to collaborate on a project funded by Canada’s Department of Fisheries and Oceans in order to understand the potential toxicity that would be associated with spills of diluted bitumen (dilbit) into aquatic systems,” Langlois told Great Lakes Echo by email. Their research, published in Aquatic Toxicology, found indicators of toxicity caused by dilbit on a molecular level, Langlois said. The research group measured mortality rates, deformities and the genetic responses of fish exposed to two of the chemicals found in dilbit. Their current research will use genetic indicators found in a Japanese fish to study Canadian fish, Langlois said. “We used a fish called the Japanese medaka, because its genome has been sequenced,” Langlois said. The consequences of dilbit spills are serious, including deformities and shortened life spans in fish, according to the report. Spills are ecologically damaging, but also expensive to clean up. Enbridge Energy Partners, owners of the busted Kalamazoo pipeline, reported that it spent $1.2 billion in cleanup as of 2014. And the oil is still not completely gone, according to the Environmental Protection Agency. The potential of ecological disaster has prompted advocacy groups to fight against companies like TransCanada and Enbridge. The Indigenous Environmental Network is a group of aboriginal leaders who strive to promote environmental justice on sacred lands in the U.S. and Canada. The network wants to prevent what happened in Michigan by supporting companies that are developing renewable energy. They believe such energy solutions are the alternative to the pipeline “tentacles” that have spread across the U.S. and Canada, Goldtooth said. “We don’t have to accept it,” Goldtooth said. TransCanada is trying to change such negative attitudes towards pipeline construction projects by asking for input from the communities they affect. Shela Shapiro, senior communications specialist at TransCanada, wrote to Echo about the importance of building community relations. “Through these relationships, we come to understand local challenges, issues and concerns and the potential ways in which we may address them,” Shapiro said. A good example of their progress is the company’s recent Coastal GasLink Project. TransCanada has signed six long-term project agreements with different First Nation communities, according to their website. The involvement of indigenous communities in TransCanada’s building plans is a step in the right direction, Goldtooth said. However, the Indigenous Environmental Network and similar groups do not support corporations pulling natural resources out of the ground, Goldtooth said. They hope to transition to greener energy production. However, TransCanada could also benefit from research on the effects of its decisions, Langlois said. Langlois believes her science is enough to support policy that rejects new pipeline construction in the Great Lakes, and elsewhere. “Our data demonstrated that fish exposure to dilbit (i.e., Access Western Blend, AWB and Cold Lake Blend, CLB) increased fish malformations, therefore, yes [our research will have the power to promote change],” said Langlois. The study demonstrated that exposure to dilbit increases fish malformations, research that has the power to promote change, Langlois said.